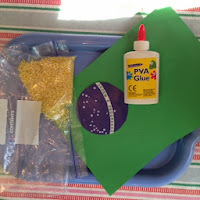 Continuing our World Cup themed activities we've been making World Cup flags to decorate our house for the World Cup. 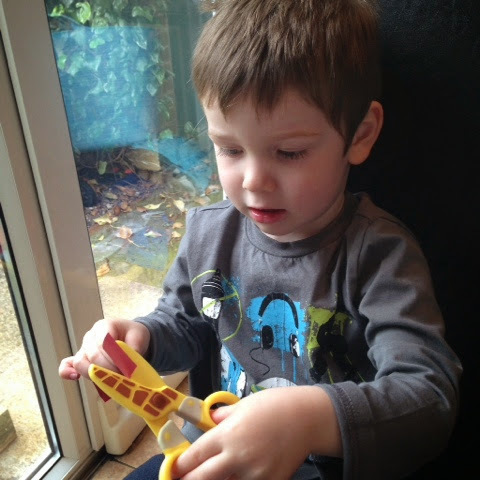 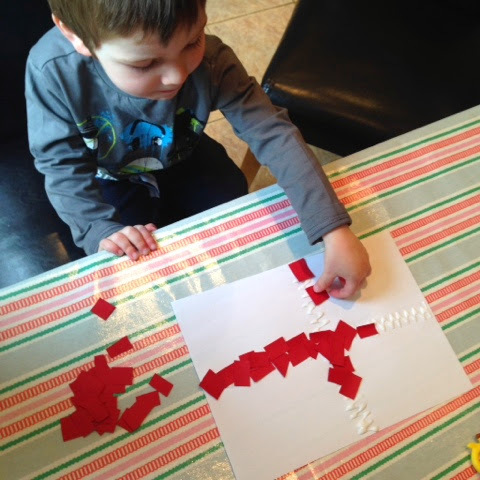 The first flag we made was a St Georges Cross, I cut strips of red paper and let T cut them up, he loves practising his cutting skills so this was a really good activity he could do from start to finish. 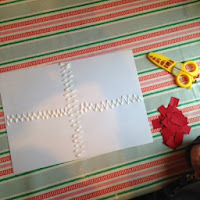 Using the glue I 'drew' a simple cross on our A4 white paper. 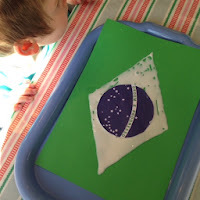 First I cut out the diamond shape from the printed flag and using a pencil I made a diamond on my green card, I then cut out the blue 'ordem progresso' circle from the printed flag and set aside. 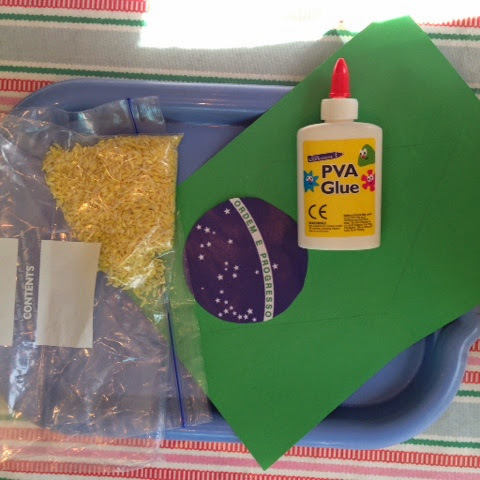 I then covered the diamond with glue and stuck the blue circle in the middle. 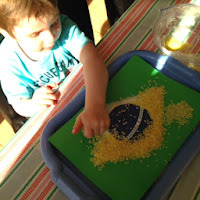 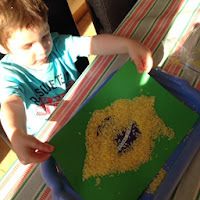 T then placed handfuls of coloured rice onto the glue. Once the glue was covered, we tipped off the rice and were left with another great World Cup flag. 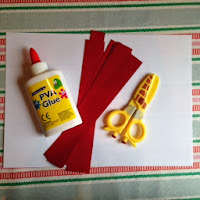 Why don't you try and re-create your nations flag using these methods or any other collage methods, if you do we'd love to see them! 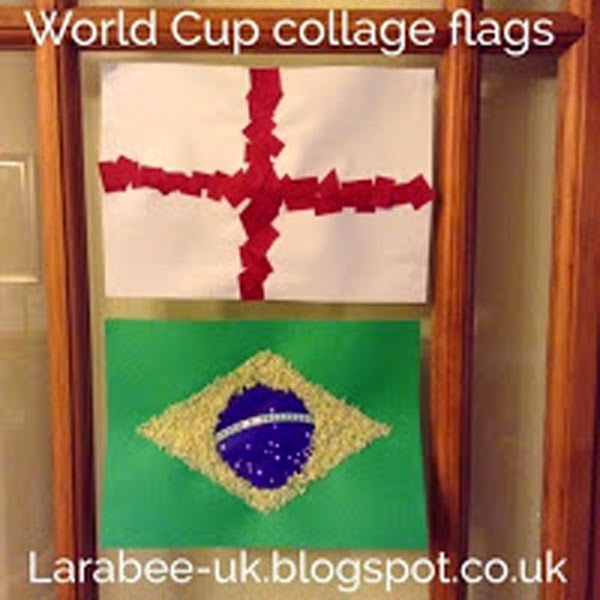 This activity is not restricted to just World Cup nations, it's a fun activity to do for any country!